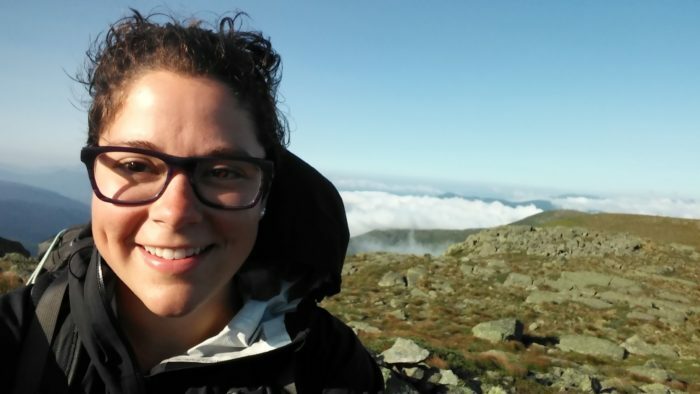 Whenever I tell anyone who knows how long it typically takes to hike the AT that it took me seven months to complete, they tend to ask what went wrong. Did I have an injury that required an extended break? Did I take time off trail for a wedding or other occasion at some point? Did I struggle with illness? (No, no, and no.) However, whenever I tell anyone who doesn’t know about the AT and how long it typically takes, they give absolutely zero… cares. I had it in my brain before I started my SOBO thru-hike that five to seven months was the norm. What I learned on trail was that five to six months is the norm, and that over six months is considered slow. Taking more than six months did not even cross my mind. Until it did. But let’s back it up for a second; there were a couple of things that I had to accept pretty early on in my trek. The first and most disconcerting thing was that thru-hiking was a lot more demanding than I ever could have imagined. Though I had been a consistent and long-time ultra-runner at home, I immediately found that my body was all the way—I mean back row, trapped in the window seat—on the struggle bus and in for a long, bumpy ride. I was an ultra-runner, but I was an ultra-runner in the Midwest. Turns out walking up and over mountains requires tremendous exertion. It made me semi-nauseous for at least my first week out. So, needless to say, I was not going to be cruising through this hike like you can through a single, albeit long, day of running. Not in Maine, anyway. The second dose of reality resulted from the first: I was going to be moving slower than I’d predicted. Through Maine and much of New Hampshire, I averaged one mile an hour. Even when the trail cleared up and flattened out later on, with stops for lunch, snacks, more snacks, to pee, to poop, and, when appropriate, to take in views and/or snap pretty pictures, I averaged only about two miles an hour. Because hiking at this pace, and stopping to camp before dark, was what made me most comfortable in—remember—my pretty uncomfortable seat on the struggle bus, I was very okay with it. What makes one consider their speed (or lack thereof) while thru-hiking—other than trying to stay within a reasonable weather window—is other hikers. 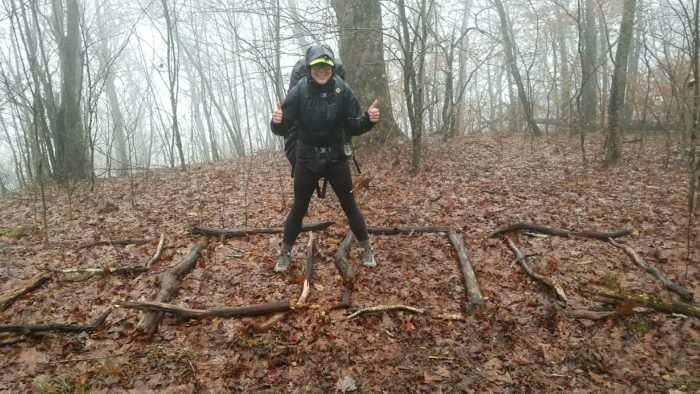 One of a handful of standard questions you will get when you run into other thru-hikers, weekenders, or even day-hikers, is “How many miles are you averaging ?” For me, because my six-month mark would have been right around Christmas, sooo many people asked me if I’d make it home for the holidays. I knew probably two months in that I would not be home for Christmas, but would often lie to people about trying to push to make it just to avoid an awkwardly depressing conversation about not making it. I ended up in Tennessee with my trail buddy and a few of our parents for Christmas. We ate ham. It was lovely. Though not with malice, people ask these questions because they want to know how their own hike stacks up against yours. I asked the same questions for the same reason. Where a great majority of conversations include the topic of any given hiker’s speed, there is a palpable undertone of competition. I don’t think this is because hikers are particularly competitive (although, beat me at a good board game and it might get a little tense) but that humans generally tend toward self-comparison. We compare ourselves to our coworkers, classmates, family members, and strangers regarding intelligence, beauty, money, happiness, etc. This tendency does not disappear in the woods. The standard on the AT falls somewhere between 16 and 25 miles per day, and between five and six months for completion. Of course there are amazing athletes who speedily exceed the daily mileage norm, which leads to a shorter thru-hike timeline. It seems like there are fewer like me, who fall behind the daily mileage norm and take longer than average to finish the hike. One of the factors that helps skew the curve more heavily toward the faster end is simply all of the talk about pace on the trail. Before quick hikers get defensive, let me just establish that I’m super impressed with people who fly down the trail. I couldn’t do that. I’m not asserting that I could have finished months sooner, or that hitting the seven-month mark was a calculated move for me. When it comes down to it, I’m a straight-up slow hiker. At this point, more than a month after my finish, I’m not disappointed that I took longer than others to complete my thru-hike. Don’t get me wrong. This past summer, when I was watching almost all of the people I started with move ahead of me and, then, as winter approached, watching some of them finish, I was bummed. It took conscious effort to avoid the urge to try and push to keep up / catch up. When it came down to it, I had to admit to myself that I was less miserable and, eventually, quite happy after a shorter day (13 or 14 miles) than I was after a longer one (18 or 19 miles.) At some point, I gave myself permission to make mileage decisions based on how I felt, not on how many miles my peers were covering. Friendships on the trail can be transient no matter what your hiking speed. But take solace in the fact that you will run into people down the line who you never thought you’d see again. And part of the AT’s charm is that you’ll meet people along the way—at shelters, hostels, in town—no matter when you are passing through. For me, once I embraced this mentality, moving slower was a no-brainer. In hindsight, I really enjoyed a lot of my hiking and camping experience because I took so long out there. I talked to so many strangers, took too many pictures, slowed to look and listen whenever I felt the slightest impulse, and I might have missed some things if I’d done the hike in the more typical six-month frame. On a practical note, I suffered no injuries or physical ailments, aside from aching feet; this is the case for many faster hikers as well, but injury certainly does correlate with higher daily mileage. Hiking slowly, for me, was wonderful. It’s not for everyone. It’s not even an option for everyone. Sometimes a tight budget requires an earlier finish, which I get. I was also fortunate to not have to be home for school or a job or any other obligation by a certain date. 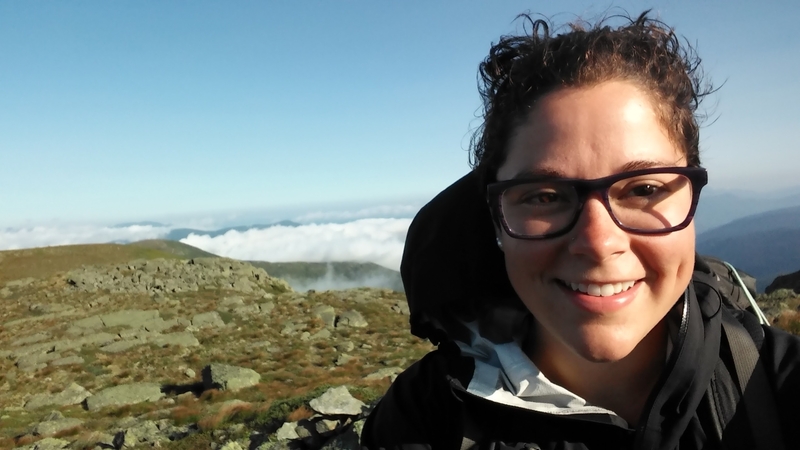 A successful thru-hike for anyone, regardless of pace, is a powerfully fulfilling achievement. A popular mantra floating around on trail (and in life) is that happiness is a journey, not a destination. There’s something to that. Before setting out, significant value must be placed on finishing a thru-hike the length of the AT for completion to be plausible. That said, the journey does end up being most of what a thru-hike consists of. Go figure. The challenge is maximizing that happiness throughout, and a happy pace is a strong component. And remember: to a faster hiker, you are slow. But, to anyone who’s not hiking thousands of miles with their lives on their backs, you are magnificent. And, spoiler alert, most people aren’t thru-hiking. 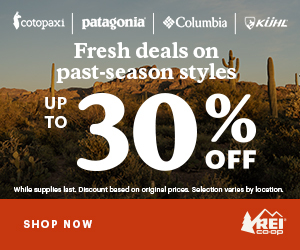 That’s easy to forget when you’re out there, and your world is filled with thru-hikers. Take advantage of any freedom you can, pace-related or otherwise. The first question I’m usually asked about my AT through-hike is, “How long did it take you?” I respond with something like, “As long as I could manage.” I loved every minute I was out there, and I can’t imagine why any through-hiker would get off the trail any sooner than necessary. Hiking speed or rather distance / day is generally directly proportional to day light hours. Late spring will have the birds singing before 5am with sunsets around 9pm. Late fall by comparison can see the days shorten by around 4 hours on either end. In short, 6-7 months should not be considered a long time to complete a south bound trip. Congratulations on your through hike completion. The joy is in the journey. The destination is just the destination. It took me six months, three weeks, and two days to complete the Appalachian Trail at 2184 miles in 2012. It was the best adventure of my life. For any Person wanting to hike the Appalachian Trail or any other long through hike my only advice is to have the understanding that there will be a next big adventure with the AT adventure is completed. Even if you must wait for another season. Good for you! 1 – 1.5 mph is my average in the Sierra with a backpack. I don’t understand how anyone hiking faster can do anything but watch their feet! There are 2 types of backpackers, no matter the length of the trail. Those focused on the athletic achievement and those focused on the experience. Of course there are blends and I’m sure a change of focus for many. It is helpful to stop asking others how long it’s taking them. I took 30 days to do 3/4 of the JMT. I covered over 200 miles with resupplies, and had 10 rest days. It was marvelous and I plan on doing a 6 week yo-yo in 2020. It took me 8 months. 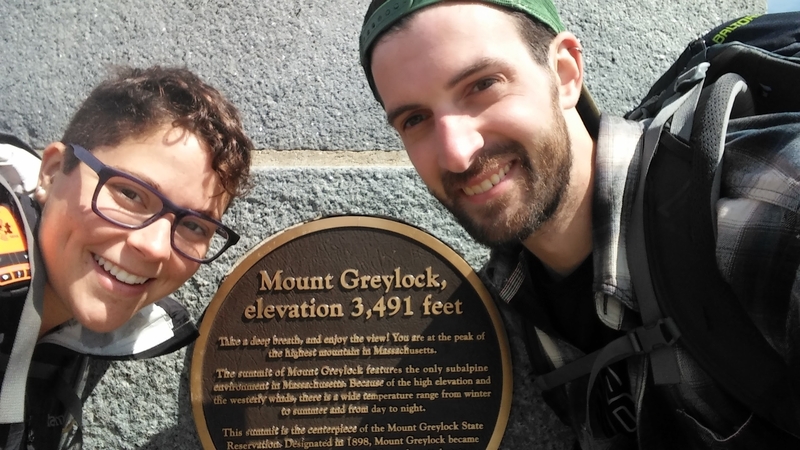 I summited Katahdin as a winter climb on December 7th, 2016. I would’ve doubled that time if I could. I got to experience things a lot of other hikers didn’t because I took my time, went down as many side trails as I felt like, and didn’t hurt myself by pushing myself more than I could handle. If I found a spectacular campsite only 4 miles into my day, I stayed for the night and I never regretted any of those short mile days that ended in amazing places. It may have eased the physical struggle, to take things slower. But it increased the mental game for the folks like you and me, to be able to stay out there longer and in worse weather and conditions. Winter on trail, whether in Maine or Georgia, is no joke. One of my least fond memories was shoving my feet into boots that froze solid overnight and walking in them all morning until they thawed into sopping wet blocks on my feet. A very good friend of mine who hiked the AT back in 1980 told me the original meaning of the term “slackpack” was to be the first to start, last to finish. I am 100% with you on frozen boots being the worst part of winter hiking. Haha, and nice! OG slackpackers. I like it. Winter camping is no joke. Some people love it but it was definitely not my cup of tea. Winter hiking though… incredibly beautiful. And much easier to stay comfy warm when you are climbing mountains than when you are sitting still at camp. Good for you. It takes courage to know yourself and act accordingly. People say HYOH but there still can be that “comparison pressure.” Glad you took your time, enjoyed yourself and wrote about it so others might also grant themselves permission to do the same. I met you and your stepmom and boyfriend when we all did a work for stay at a New Hampshire hut. I still remember doing the dishes in wonderful warm water! The ONLY THING that is important when doing a thru hike is that we do it on our own terms. After that, it’s all just gravy. I enjoyed watching your progress. You hiked YOUR hike and no one else’s and that’s what it’s all about. What a grand accomplishment!!!!!!! Be well! I admire your method of hiking. This will be my mental point of view after trying the AT in 2015 and 2016, I only averaged 5 or 6 miles per day. I (only) got 65 miles each year. I plan on starting the Florida Trail on April 9th from the Southern Terminus and will hike as you describe. I figure the flat terrain will be easier on my body. I will be 69 years old in April. My concern is because of being slower that I will have to pack more food between resupply points, because it will take me longer to get to those points. Thus more weight to haul, making me even slower. How did you work around that problem? This is a tough one. I definitely carried more food weight for shorter distances than my faster counterparts. But, as you know, hikers gotta eat! The weight is what it is. I basically ate the same things most days because I could pack more efficiently without coming into town with extras, but even this took me a while to figure out. Hopefully you can use the experience you have on trail to aim for the same, food-wise. I often carried for a week up North where there are fewer places to stop. Down South on the AT (I don’t know about the Florida Trail) you can get into town often, even when covering lower daily miles. Good on you for keeping at it. Just take it a day at a time. I hardly hit a rhythm until a month or more into my hike. I was a total novice at the start so you may feel better sooner. I believe the start is the hardest no matter what the terrain is like or which direction you’re hiking. If you can force forward motion until you have enough time to really accept and adjust to life on trail, the rest is manageable. Some people who hike fast do it because they have to. Every month you’re on trail is another month of bills you have to handle without a job. I feel this. I touched on it briefly above. But, I know I was so fortunate to not have a deadline due to budget restraints or other obligations. Not an option for everyone, I understand. I plan on doing the trail when I retire and when I do I plan to hike it like I have the rest of my life, because I will. I really like to hear about hikers who took much more time on the trail than me, I feel that you can enjoy many more things. I took too few zeros and after a while your body tell you to take more rest – I had some shin issues in PA that went away “magically” after going slower for a while. I finally hit my “happy pace” in New Hampshire and Maine while coming back from a month-long “side-hike” at home (IAT in Quebec). Since I had no friends anymore to keep up with I just listened to what feels good for me, which was more zeros but it still liked doing 15+miles days even in Maine (I guess I still have to learn how to go slower). 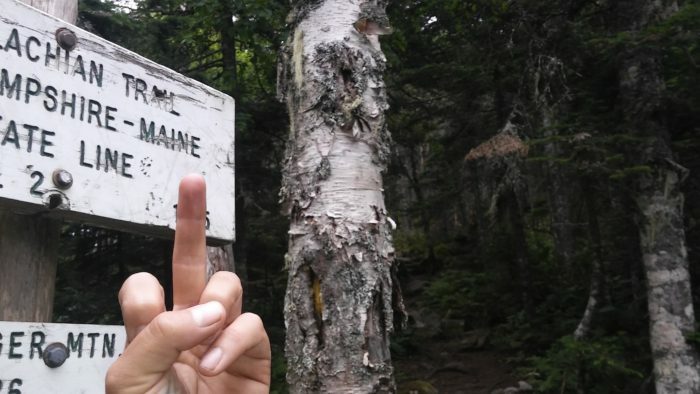 Haha if 15+ in Maine is slow for you, you are just not a slow hiker. That’s great too! You made it. Congrats on completion. Zeros work like a charm if you are trying to extend your time out, I’m sure you know. I so enjoyed reading this. What an amazing feat. Spoiler Alert – I read this because Mary Anderson Brooks is my daughter and posted how excited and proud she was of her bff. Looks to me that marching (or walking) at your own beat is the way to go. Congratulations on accomplishing your trek goal. Thanks Mrs. Anderson. Mary is an awesome bff; I’m so lucky to have her support. Congratulations on completing your thru hike. I plan to start mine on March 21,2018 at Springer and will most likely hike NOBO to Daleville, VA and ride a bus, train or plane to Maine and the flip flop SOBO back to Daleville. Being 64 years old as of today Mar. 17 I am realisticly planning on 7 months or more to complete. I’m in no hurry to set any records and fully intend to enjoy myself, smell the roses take photos and make life long memories. Everyone everywhere is in a big hurry. When I’m doing something I enjoy, why would I rush it. A nice comfortable pace not concerned with time or distance. Gives me joy while I’m experiencing the challenge. If one seeks to go fast, then go. We should identify with each other not compare. I think you had the right attitude. Who is to say what is a right time frame or wrong a wrong time frame? have to take it very slowly and Im glad to see that it is possible. Thank you for sharing this story. Love this article and super congrats on your completing it! I was pretty much the exact same way on my thru attempt last year. I ended up pushing myself too hard trying to keep up with my people I got on well with which, in turn, led to feet issues and ultimately my leaving the trail after 45ish days. Going to do it again, but at my pace (10-15 a day) and not worry about keeping up with others doing 20+. Best of luck on the PCT when you go for that one! Thanks Tiffany. Best of luck on attempt number 2. 45 days is nothing to scoff at; you will def be at an advantage this time because you know what your in for! 1) Thanks to your pace, my SOBO son William (Not Yet) got to hike with you and your “trail buddy” at the end, and he truly enjoyed that. 2) I hiked the AT NOBO in 1977 and have always wished I’d taken more time. Good luck with whatever your future brings. Mr. Carter, Not Yet is truly the best. We were so lucky to end up finishing with that little bubble. Great recap Sarah! I loved reading your blog and seeing your photos. What an adventure and lifetime memory! Looking forward to seeing you soon! Congratulations 🎉🍾🎊🎈 again! Thanks Beth. Thanks for following my blog, too! I think it’s a great accomplishment just to finish a thru hike . Who cares how long it takes ? I will attempt my third section and hopefully finish Georgia in April. We all have our goals , big or small . Just enjoy the journey. Nice article, Sarah. I was usually slower than the people that were in my bubbles and trying to keep up was a mistake because that was when I was most prone to injury. Since you “suffered no injuries or physical ailments”, you did it the right way. Congratulations! I started 3/5/18 with the Approach trail but had to leave 3/8 due to a hernia. Over the few days I was on the trail it was very frustrating to constantly be passed by other hikers. I was averaging 1.5 to 1.8 mph but when I got to camp my feet, knees, legs and back did not hurt. I’m hoping to get back out and restart in Harper’s Ferry going north May 1st. Assuming I make it to Katahdin, I’ll flip back to Harper’s Ferry and head south to the point where I left the trail. Maybe I’ll pick up speed with time but I just want to complete the trail. Oh, BTW I’m 65. It was good to read your story. Every thing you read has people doing 15-20 mile days. I’ll delude myself that I’m just slow and steady and hope I make it. Stan I was passed by hundreds of hikers during my thru-hike. You get used to it. I ended up hiking with a friend during more than half of the trail in the end, and we did our last few weeks with 4 others! You’ll be amazed at the fact that, at any pace, you may end up camping with or “leapfrogging” hikers who are taking time off or maybe even also just doing lower miles. But faster hikers who start later will pass you for many months. Haha. Just becomes part of your day. Thank you for posting this. My sister and I hike the AT state by state until we finish. We started last year and were given tons of advice from thru hikers, most of which we couldn’t use. The fact remains we are slow, hence the trail names Huff and Puff. Its nice to see someone post about taking their time and enjoying the experience. It just made me feel better to read your journey. Just wanted to say thank you and that your posting mean a lot. This is wonderfully written! I was so happy that we got to meet you and that you hiked with Smiles. Can’t wait to read your book!